Help & DocumentationSystem AdministrationManaging the Metric Insights Environment Displaying Currency SymbolsWhy don't my Element tiles, tables and charts have a currency symbol? Why don't my Element tiles, tables and charts have a currency symbol? If you expect to have a Currency Symbol and it does not appear on your Report' or Metric, there are multiple settings that you can check to determine what needs to be changed in order to ensure the display. Display Masks: Display masks can be explicitly assigned to a Report's Result Set's numeric Data Columns. The format of the masks determine whether a currency prefix should be used; e.g., $1,234K vs 1,234K. 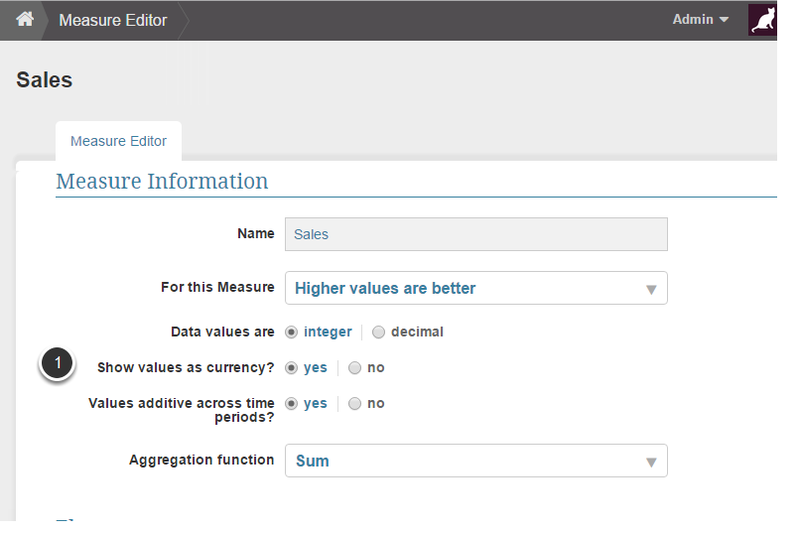 Measures: The measure assigned to the Report has a setting that determines whether Elements using the Measure should be shown as currency ; e.g., Sales figures are expressed in currency while Units are not. Report Editor: The display of a Report's numeric columns can be explicitly defined to use a currency or numeric Display Mask that override all other settings. "Yes": The column's default mask has a Currency Prefix. 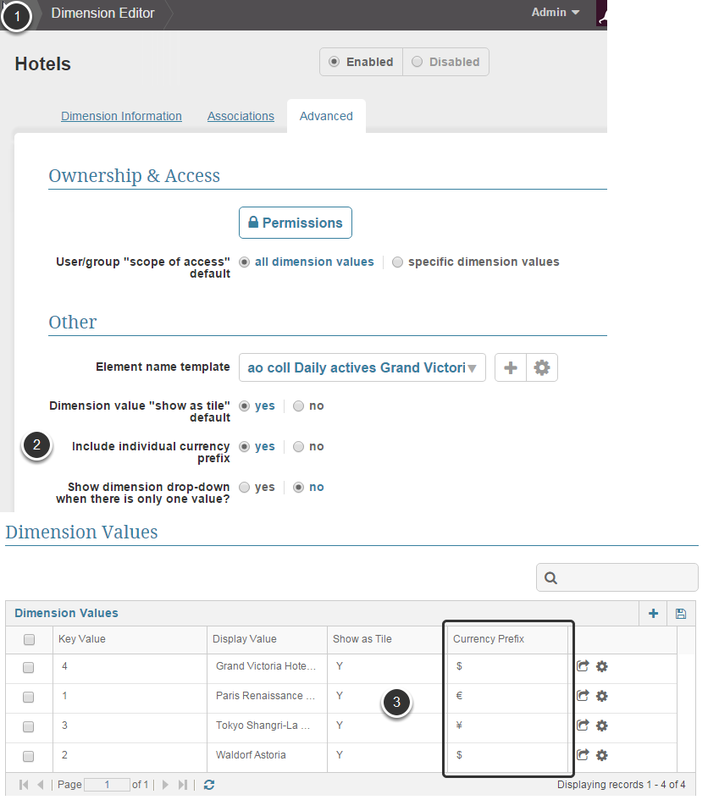 NOTE: If both the Dimension's and the Dimension Value's settings are not as described, the tile or chart for this Dimension Value will not have a currency symbol. If both of these conditions do not exist, the currency symbol will not display.